The most interesting thing about the islands of Kaho’olawe and Ni’ihau is that unlike the rest of the Hawaiian Islands, these two are not so open to tourists. Of all the other islands, perhaps it is only in Kaho’olawe and Ni’ihau that you will not find any airport or establishments that sell food and provide lodging. Visits to the two islands are either limited or restricted. Another factor that makes Kaahoolawe and Ni’ihau distinct from the rest of the state is the population, which is zero and about a hundred, respectively. Nicknamed the Target Island, the island of Kaho’olawe is the smallest of the state of Hawaii’s eight main islands. Of course, these eight volcanic islands consist of Kauai, Oahu, Maui, Molokai, Lanai, Kaho’olawe, Ni’ihau, and the Big Island. The island of Kaho’olawe has a land area of 44.6 square miles, measuring 11 miles in length and 6 miles in width. The island may be found in between and a little to the south of the islands of Lanai and Maui. Its highest point is the Lua Makika crater on top of the Puu Moaulanui, located 1,477 above sea level. Over one-fourth of the island has been eroded, and shows only weathered rock on its topmost layer where soil should have been. This topographical characteristic of the island may be attributed to its low elevation and location itself. Its failure to produce precipitation out of the trade winds coming from the north east is what causes the island’s relative dryness. Plus, being in the rain shadow of the East Maui volcano Haleakala is no help at all. With this condition, it doesn’t come as a surprise that the island does not have any permanent residents. The island of Kahooloawe wasn’t always uninhabited. For some time, small fishing villages populated its coastline. Mining was also practiced in the island, because it is where the second largest basalt quarry in Hawaii can be found. Today, the remains of old religious structures are the only reminders of an ancient way of life of the people who used to live on the island. There are rock platforms and shrines, where the fishing community used to make their offerings for an abundant catch. It is not clear how small or large the population used to be, but it couldn’t have been more than a hundred due to the scarce supply of freshwater on the island. The largest settlement could have been in Hakiowa, which is in the northeast side of Kaho’olawe. In the old days, when Hawaii’s islands were ruled by chieftains, battles erupted in the Hawaiian archipelago, as each ruler would attempt to conquer an island. Kalaniopuu, the high chief of what is now known as the Big Island, ravaged and plundered the island of Kaho’olawe during a failed attempt to conquer Maui, which was then under Kamalalawalu. Historians believe that this was the reason why the island’s population was significantly reduced and later on disappeared. Between the late 18th century and early 19th century, seafarers found the island to be barren and deserted. When English missionaries arrived in Hawaii, the kapu system of punishment by death was changed to exile. During the reign of King Kamehameha III, men who have broken taboos were exiled to the island of Kaho’olawe. As the availability of food and water on the island was low, exiled prisoners were said to either starve to death or swim to the island of Maui. In 1853, the law which made Kaho’olawe a male penal colony was revoked. An organization called Protect Kaho’olawe Ohana (PKO) filed a petition in the federal court in 1976 to put a stop to the US Army’s use of the island as training ground. Although the court ruled the Army’s continued use, environmental laws were made to protect Kaho’olawe’s cultural resources. The organization’s leaders George Helm and Kimo Mitchell went missing during an attempt to take over the island as a protest. The inventory report of historic sites on the island, which the court ordered the Army to make, indicated 544 archeological sites and more than 2,000 individual features. Live-fire training finally ceased on the island in 1990 as ordered by former president George H.W. Bush. Today, Kaho’olawe is a protected site under the Title X bill ordering to clear the area of bombs and restore the island. The island is now under the Hawaii state and is considered an island reserve. As such, Kaho’olawe is not open to the public, and the only way you can go there is for spiritual, subsistence, environmental, and educational purposes. Of Hawaii’s inhabited islands, Ni’ihau is the smallest at a total area of 69.5 square miles. It is nicknamed “The Forbidden Isle,” because it is home to many endangered species, such as the olulu, and is a privately owned island. Ni’ihau has been owned by the Robinson family since 1864, and Bruce and Keith Robinson are presently in charge of the island. Only government officials, US Navy personnel, and family guests are given access to the island, although there are supervised tours available for tourists. However, these tours are limited to a half-day excursion where you can take a dip in a secluded beach surrounded by monk seals, enjoy the exquisite shells scattered on the island’s white sand, and go on a tropical safari. Ni’ihau is also known by other names, such as “Mystery Island” and “Forgotten Island,” because it is often excluded from tourist maps. The island is infamous for the Ni’ihau Incident in which a Japanese fighter pilot crash-landed on the island soon after participating in the Pearl Harbor attack. Today, the island has achieved fame for being the home of the only gem-like shell in the world, which has been named after the island. Also, the place is known for its lei pupu (shell lei), which are made with the highest quality of craftsmanship. Kahelelani was the first ruler of the island, way before the Hawaiian archipelago was united under the reign of Kamehameha the Great. Ni’ihau was among the last islands to be conquered by Kamehameha the Great, although he had attempted to do so more than once. In 1810, Kaumualii, then Ni’ihau’s chieftain, surrendered the island to Kamehameha the Great to prevent more deaths. Although Kamehameha the Great died in 1819, Kaumualii was forced to wed his widow, making Ni’ihau remain as part of the Hawaiian kingdom. In 1864, Elizabeth Sinclair, who later became Elizabeth Sinclair-Robinson, bought the island from Kamehameha V, who was then the ruler of the Hawaiian Islands. The island was sold to her for the price of $10,000 in gold, and her family owned Ni’ihau since then. Around 160 people live on the island today, most of them workers of the Robinson family. Their main source of livelihood is making lei pupu, which requires a high level of skill and lots and lots of patience. The Ni’ihau kahelelani, the puka shell named after the island’s first chieftain, is the only shell in the world which is regarded as a gem. This unusual quality of the shell is attributed to Ni’ihau’s waters being unpolluted. The shell breaks easily, which is why a great deal of skill and patience are required especially during piercing shells into a lei. 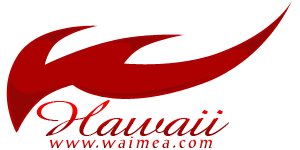 Ni’ihau shell jewelry is highly valued, and the prices vary depending on the colors and types of the shells used. Of course, the length and style of the shell necklace also matter when it comes to pricing. Although a large collection of Ni’ihau shell jewelry is available, it is also possible to have one custom-made. Tourists who go on a half-day supervised excursion to the island of Ni’ihau get to arrive there on board a helicopter, from which it won’t be uncommon to see reef sharks mating in a nearby cove. The secluded white sand beach is perfect for sunbathing, and the island’s crystal-clear waters are just right for swimming and snorkeling. You’ll find a wide variety of rare tropical fish playing in its warm waters, as well as monk seals basking on its pristine shores.